This chapter presents the global impacts of urbanization on urban ecosystems and their services, planning responses to climate change, and case studies and examines the emergence of climate resilient and low-carbon smart urbanism. Climate as one of the ecosystem services also is impacted by urbanization. The planet is very sensitive to climate change, and exposure to climate-driven natural disasters will increase. In a context where by 2050, almost 70% of the total world population will be living in towns and cities, and the climate resilience planning will become increasingly critical. 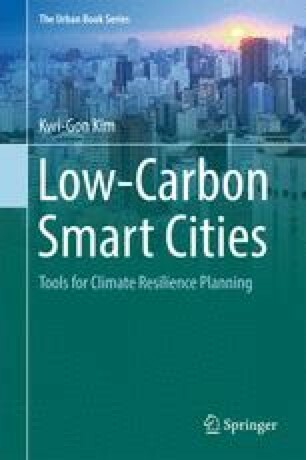 Based on the selected case studies, energy conservation, low-carbon green city design, and impact assessments of urbanization on environment and climate change were found to be complementary tools for climate resilience planning. The emergence of a smart climate approach bringing together (1) eco-city, (2) sustainable city, and (3) conventional low-carbon green city approaches into the climate resilient and low-carbon smart city development will generate a much higher value added at lower cost.